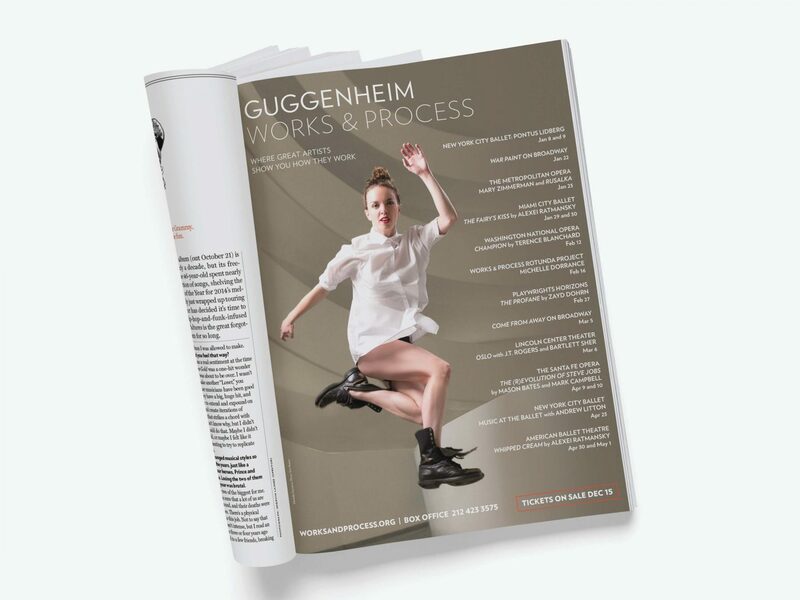 Works & Process is a performing arts series put together by the Guggenheim. Twice each year, the program brings in world-renowned creators and performers to showcase their new works and offer audiences the opportunity to explore artistic creation through conversation and performances. Each season, we develop the campaign and produce an array of media that helps promote their line-up. It all starts with a beautifully designed brochure and expands out to include digital media, as well as advertising in several New York arts publications. Each season, we work closely with the Guggenheim to develop a distinctive campaign offering insight into the upcoming season.